In today’s world, having a strong online brand is essential for any business. As a Blackburn SEO company, we can help you to attract website visitors from the local area and beyond. Search engine optimisation gives you the opportunity to extend your brand’s reach to new customers. Without SEO, it can be hard for even your loyal customers to find your website. We offer a comprehensive audit of your website to detect any SEO or other issues impacting on its performance. We will provide you with a detailed assessment of your website, how well it is targeting keywords and attracting traffic, and of any issues or problems that might have a negative impact. A full set of recommendations will accompany the report. For the best results, your website keywords need to be chosen for your target audience and your business’s position. By analysing your competitors’ keywords and your marketplace, we can develop a strategy to rank highly for the terms your potential customers are searching for. Having good quality content on your website is important. On its own though, it is not enough. Both your content and the source code can be optimised in many ways to improve how search engines perceive your site. 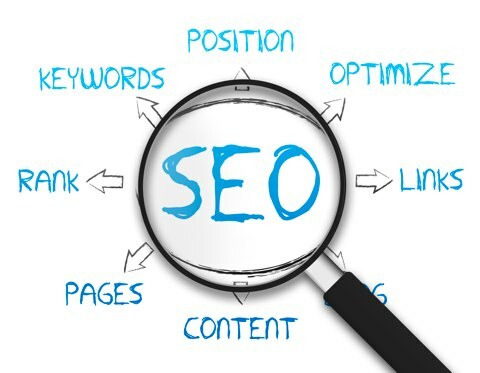 Our SEO service Blackburn will fine-tune your website ensuring that every page is performing optimally to boost your rankings and help attract traffic. Around sixty percent of Google searches are now made on mobile devices, so it is not surprising that the company places some importance on the mobile friendliness of websites. For local businesses, this can represent an added opportunity as many people search for services “near me”. Our Blackburn search engine optimisation agency will help ensure that your site is optimised for mobile visitors and that it passes Google’s Mobile-Friendly test. Our link building service will provide you with quality inbound links from respected websites. This has been an important search engine ranking signal since Google was first invented back in the 1990s, so improving your link profile is a good way to improve your rankings. Link building also brings traffic from the sites that link to yours, giving you extra sources of traffic. We will use outreach marketing, press releases, directory placements and infographics to promote your site across the web.